Leonardo Santos Becerra, CPA of BM Accounting and Tax, Inc. is a Certified Public Accountant in the State of Illinois. He offers QuickBooks setup and training, bookkeeping, accounting, and tax preparation services. He is also an Advanced Certified QuickBooks Online ProAdvisor. 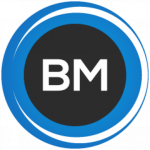 Company BM Accounting and Tax, Inc.
Work For BM Accounting and Tax, Inc.? Claim This Page.